In the past few years, I have experienced basketball like never before. The talent was better. The coaching was better. The game was never over. Not with this squad. I still felt nervous. The Cavaliers looked strong and were up by six points with 3:11 left in the quarter. 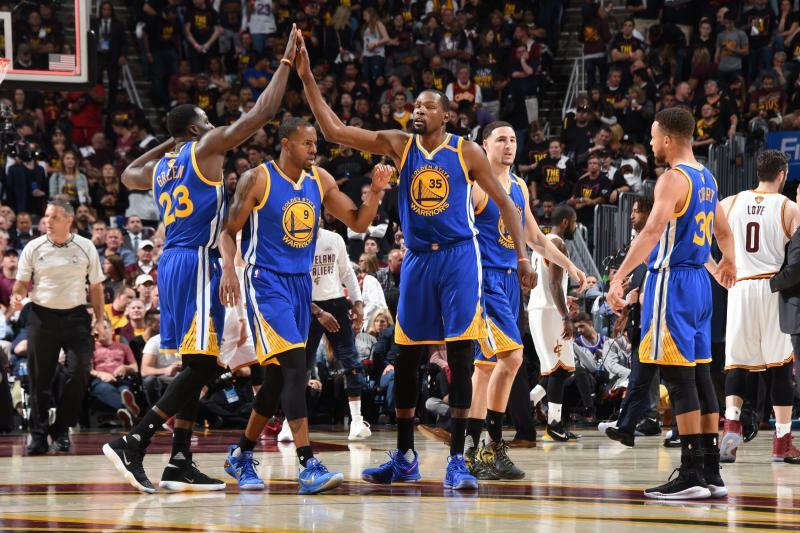 They would not score again and the Warriors went on an 11-0 run to end the game. Having watched this team all my life and seeing how well this machine was running in the past few years, such a conclusion does not surprise me. But this does not mean I can’t appreciate what I just witnessed. LeBron James played all but two minutes in the game; Kyrie Irving played 44 minutes. They were gassed. The Warriors gave Kevin Durant and Stephen Curry rest to start the fourth quarter and it was clear that they were much fresher than the opposition. Andre Iguodala and Klay Thompson played the entire fourth quarter and their impact was felt. Defensive Player of the Year candidate Draymond Green completed the MegaDeath Lineup for the stretch to the finish line. Steve Kerr is a genius. I can imagine that 15 years ago the Warriors could not have put together this kind of talent and basketball brilliance together. Not by a long shot. But tonight, we were gifted with a tremendous display of basketball IQ that dreams are made of. The Cavaliers are a great team in their own right. But they ran into a Warriors team that is on another level. The Warriors were built for this since the beginning. You can call them the villains or the bad super team. You can hate on them or even despise their success. But after what the team and fans have endured for so long, they’ve earned their way to this position. And in the process, gave us a perfect portrait of how a team this good is never out of a game. The coach pushed the right buttons. The pieces on the chess board made all the right moves. And when it came down to it, they simply executed better than the other team. Tonight was the perfect display of the masterpiece. One more to go to complete the greatest playoff run ever told — Game 4 can’t come soon enough. They too were built for this. This entry was posted in Cleveland Cavaliers, Column, Golden State Warriors, NBA and tagged NBA Finals 2017. Bookmark the permalink.